What’s the New Medicare Advantage Open Enrollment Period in 2019? If you’re interested in switching to a different Medicare Advantage plan, you may do so during the 2019 Open Enrollment period. According to the Centers for Medicare & Medicaid Services, the Medicare Advantage Open Enrollment period will begin on January 1st and end on March 1st. Why Switching Plans May Be a Good Idea? During this time, you may drop your Medicare Advantage plan and sign up for the Medicare Part D Prescription Drug Plan or go back to original Medicare Part A or Part B. There are a variety of reasons you may want to make changes to your plan. Let’s say your current medication which has been covered by your plan in the past will no longer be covered in the future. To save on out-of-pocket medical costs, it may be in your best interest to switch plans and ensure your medication is paid for. You should receive an Annual Notice of Change every fall so that you can determine whether any changes have been made to your current plan. Since your plan may change at any time, you’ll be notified of changes at other times throughout the year. Since it can be difficult to choose the right plan for your budget and lifestyle needs, we encourage you to contact our Medicare specialists for assistance. Before assuming you can go to your Raleigh, NC dentist and it is covered, we strongly suggest you contact us so we can go over the benefits. 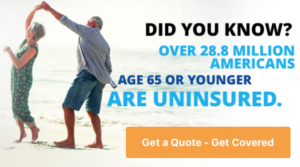 If you have any questions related to the Medicare Advantage 2019 Open Enrollment period or need help finding the ideal plan, don’t hesitate to call us at 1-855-Its-Blue.